09.05-10.00 : Keynote 1 by Antske Fokkens: "Drifting distributions? Possibilities and risks of using distributional semantics for studying concept drift"
10.00-10.30 : "Exploring Concept Representations for Concept Drift Detection" by Oliver Becher, Laura Hollink and Desmond Elliott. 11.00-12.00 : Keynote 2 by Javier Fernández: "LOD is all about evolution: Querying and Managing evolving Linked Open Data"
Computational Lexicology and Terminology Lab at VU Amsterdam. Drifting distributions? Possibilities and risks of using distributional semantics for studying concept drift. Recent work in NLP and digital humanities has seen a variety of study where distributional semantics is used to study changes in meaning, but can these technologies be used this way? 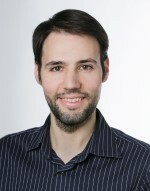 Whether and how distributional semantic technologies can be used to study concept drift depends on three things: first, how concept drift is defined exactly, second, whether this concept can be translated to expressions that provide insight into potential change and third, the availability of sufficient data for creating reliable distributional semantic models. I will show that reliability and stability form a significant challenge when working with diachronic datasets. I will dive deeper into the challenges of using distributional semantics for studying data drift by examining a use case on changes of the concept of racism using results from Pia Sommerauer's master thesis. The steady adoption of Linked Data in recent years has led to a significant increase in the number and volume of RDF datasets. However, in the absence of a central control mechanism, this huge knowledge base is ephemeral: datasets constantly appear, change and disappear. In the first part of the talk, after introducing the general challenges emerging in a Big Semantic Data scenario, we will inspect the challenges of representing and querying evolving semantic data. Then, we will present different modeling strategies, RDF indexes and practical tools to cope with RDF versions, allowing cross-time queries to understand and analyse the history and evolution of dynamic datasets. The continuous growth of the Linked Open Data (LOD) cloud is extending to various new domains. In many of these, facts change continuously: political landscapes evolve, medical discoveries lead to new cures, artists form new collaborations. In terms of knowledge representation, we observe that instances change their roles, new relations appear, old ones become invalid, and classes change both their definition and member-instances. The evolution of LOD poses concrete new challenges to stakeholders: data publishers need to detect changes in the real world and capture them in their datasets; users and applications need automated tools to adapt querying over diachronic datasets; knowledge engineers want to understand modelling practices behind ontology changes; linguists study drift in the meaning of words. As a continuation of last year’s successful Drift-a-LOD, this workshop seeks to form a community of researchers and practitioners working on detecting, representing and managing concept drift in and for LOD. Drift-a-LOD’17 will bring together different communities that define, identify and manage the dynamics of concepts in their knowledge bases using various domain-specific methods (statistical inference, symbolic reasoning, natural language processing, etc. ), leveraging the LOD cloud as a data source or as a result publishing platform. Contributions may be accepted as either long of short presentations depending on quality, novelty, and potential to stimulate a discussion at the workshop. Accepted contributions will be published on the CEUR-WS website (or equivalent). At least one author needs to register for the workshop. Day passes for the workshop are available at 40 euro (excl. VAT).